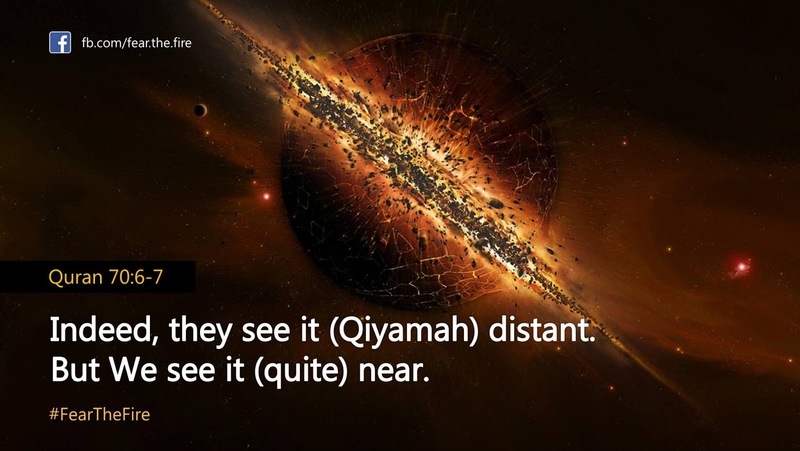 Qiyamah is also called as The Day of Reckoning, The Last Day, Yawm al-Qiyāmah, Yawm ad-Dīn or The Day of Resurrection. Believing in it is mandatory for every Muslim as it is one of the six articles of faith aka Aqidah (creed). Unlike other posts, which is narrative in nature, we have hand-picked verses from the Quran related to Qiyamah (or the day of resurrection) and have presented it as-is. We believe these are extremely easy to understand and comprehend the way they are outlined in the Quran. However we have categorized the verses from the Quran in the logical sequence, viz. when will Qiyamah come, how will it unfold, what will happen on Qiyamah, and verses for those who deny or think Qiyamah will not come at all. Important: there are other verses related to Qiyamah in The Quran which we have not covered here for the sake of brevity. Also there are several sahih hadiths from The Prophet (pbuh) who has told us, in great detail, on how that day will look like, viz. one day will be equal to 50,000 years (see #4 here). When is the Day of Resurrection? Allah has not told the exact time, but He has indicated in The Quran and via Prophet Muhammad (pbuh) the minor and the major signs before Qiyamah will come. Quran 7:187: They ask you about the Hour (Day of Resurrection): "When will be its appointed time?" Say: "The knowledge thereof is with my Lord (Alone). None can reveal its time but He. Heavy is its burden through the heavens and the earth. It shall not come upon you except all of a sudden." They ask you as if you have a good knowledge of it. Say: "The knowledge thereof is with Allâh (Alone) but most of mankind know not." Quran 33:63 - People ask you concerning the Hour, say: "The knowledge of it is with Allâh only. What do you know? It may be that the Hour is near!" 42. They ask you (O Muhammad) about the Hour, - when will be its appointed time? How does the Day of Resurrection unfold? 17. And the angels will be on its sides, and eight angels will, that Day, bear the Throne of your Lord above them. 18. 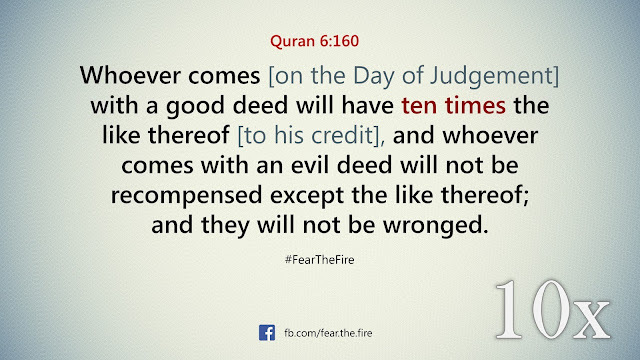 That Day shall you be brought to Judgment, not a secret of you will be hidden. 13. But only, it will be a single Zajrah [shout (i.e., the second blowing of the Trumpet)]. 1. When the sun is wound round and lost its light and is overthrown. Here's a short 7 minute video, a small glimpse, that describes how that day will look like. 7. And you (all) will be in three kinds (i.e. separate groups). 8. So those on the Right Hand (i.e. those who will be given their Records in their right hands), Who will be those on the Right Hand? (As a respect for them, because they will enter Paradise). 9. And those on the Left Hand (i.e. those who will be given their Record in their left hands), Who will be those on the Left Hand? (As a disgrace for them, because they will enter Hell). 10. And those foremost [(in Islâmic Faith of Monotheism and in performing righteous deeds) in the life of this world on the very first call for to embrace Islâm,] will be foremost (in Paradise). 11. These will be those nearest to Allâh. 107. And for those whose faces will become white, they will be in Allâh's Mercy (Paradise), therein they shall dwell forever. 109. On that day no intercession shall avail, except the one for whom the Most Beneficent (Allâh) has given permission and whose word is acceptable to Him. 110. He (Allâh) knows what happens to them (His creatures) in this world, and what will happen to them (in the Hereafter), and they will never compass anything of His Knowledge. 111. And (all) faces shall be humbled before (Allâh), the Ever Living, the One Who sustains and protects all that exists. And he who carried (a burden of) wrongdoing (i.e. he who disbelieved in Allâh, ascribed partners to Him, and did deeds of His disobedience), became indeed a complete failure (on that Day). 112. And he who works deeds of righteousness, while he is a believer (in Islâmic Monotheism) then he will have no fear of injustice, nor of any curtailment (of his reward). 66. Do they only wait for the Hour that it shall come upon them suddenly, while they perceive not? 67. Friends on that Day will be foes one to another except Al-Muttaqûn. 69. (You) who believed in Our Ayât (proofs, verses, lessons, signs, revelations, etc.) and were Muslims. 70. Enter Paradise, you and your wives, in happiness. 71. Trays of gold and cups will be passed round them, (there will be) therein all that the one's inner-selves could desire, all that the eyes could delight in, and you will abide therein forever. 72. This is the Paradise which you have been made to inherit because of your deeds which you used to do (in the life of the world). 73. Therein for you will be fruits in plenty, of which you will eat (as you desire). 74. 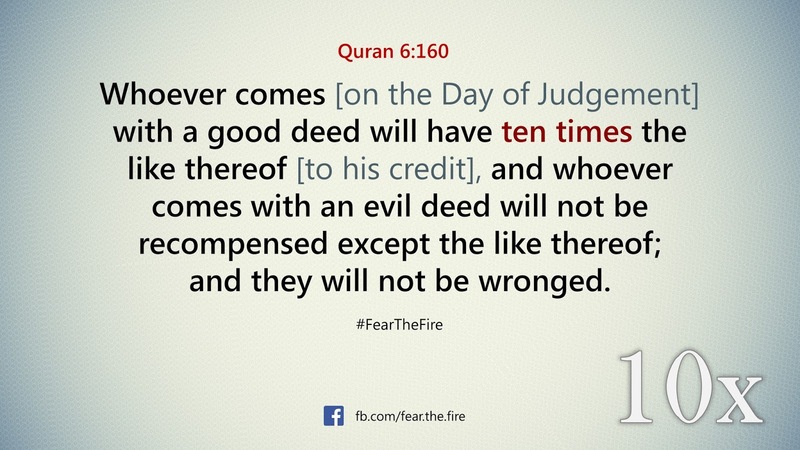 Verily, the Mujrimun (criminals, sinners, disbelievers, etc.) will be in the torment of Hell to abide therein forever. 75. (The torment) will not be lightened for them, and they will be plunged into destruction with deep regrets, sorrows and in despair therein. 76. We wronged them not, but they were the Zalimun (polytheists, wrong-doers, etc.). 77. And they will cry: "O Malik (Keeper of Hell)! Let your Lord make an end of us." He will say: "Verily you shall abide forever." 6. The Day when (all) mankind will stand before the Lord of the 'Alamîn (mankind, jinns and all that exists)? 10. Woe, that Day, to those who deny [(Allâh, His Angels, His Books, His Messengers, the Day of Resurrection, and Al-Qadar (Divine Preordainments)]. 13. When Our Verses (of the Qur'ân) are recited to him he says: "Tales of the ancients!" 14. Nay! But on their hearts is the Rân (covering of sins and evil deeds), which they used to earn. Allah will shade 7 types of people on Qiyamah. Pre-birth to Re-birth: The 4 forms of life in Islam. See #4. Minor and major signs before the day of Qiyamah.